Do you know how much gold is really worth, and more importantly why? Checking spot prices and reading the news will never give you the whole story. Plus, deception about how interest rates could impact gold, from both members of the media and the Fed, might have you tricked. Taking all this into consideration, how are you supposed to know the right way to put a realistic value on gold? You’re about to start hearing a lot in the news about how the next Fed rate hike (if it ever comes!) is supposedly going to cripple gold. But in reality, this line of thought misses the larger (and much more important) picture for gold. Why can you largely dismiss talk about a rate hike’s effect on gold as irrelevant? The reason boils down to where gold derives its underlying value. Most important to note, it doesn’t come from market makers’ willingness to buy and sell it. It comes from something else far more meaningful… but more on that in a second. Essentially, mainstream media and economists believe rising rates will make traditional interest-bearing investments (stocks, bonds, CDs, etc.) more attractive, causing fewer people to buy gold. Yes, they think that a measly 0.25% increase will cause enough people to abandon gold for equities that it would actually have a noticeable impact on gold prices. 1) Even if rates rise and gold prices experience a brief lag, history shows they’ll shoot right back up at the next sign of trouble in the economy, just like they always do. 2) Unlike dollars or any other fiat currency, gold’s value can never go to zero. Nobody will care about the dividends from that extra 0.25% if the dollar crashes and becomes worthless. In that scenario, gold is king yet again. What you need to understand from all this is how gold’s true value is an entirely different thing from its current price. Price trends come and go, but actual value stays the same. But that leads us back to the biggest question of them all: Where does that value come from? Like we said, gold’s value doesn’t come from how much people are willing to buy and sell it for; that’s where its price comes from. 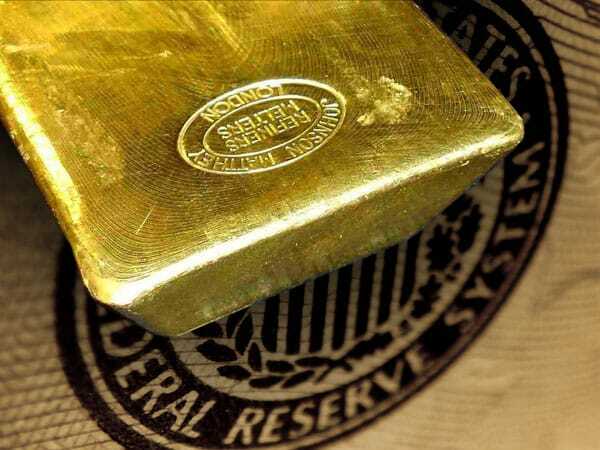 Unlike paper currencies or equities, gold has a verifiable connection to a resource that gives it unchangeable worth. Energy is the resource that gives gold its permanent value. The true value of gold is much higher than the spot price quoted in the market. This is due to several factors, but the most important reason is misunderstood by just about every economist and monetary scientist in the world today. Gold is more than a precious metal based on supply and demand. Furthermore, the Austrian School of Economics looks at gold as a foundation of money in the procurement of goods and services. However, gold’s real value comes from energy in all forms and in all stages in its production. Energy has been the key driver for the value of gold and silver for thousands of years. It’s important to note that “energy” is not just the fossil fuels required to extract gold from the earth, but also the equipment, the human labor, the time and expertise involved. The value of gold, therefore, comes from the amount of energy invested in it — not what the Federal Reserve does (or doesn’t do) to interest rates. When you finally understand the tangible, inarguable value of pure energy, and how that value gets transferred directly into gold via the vast amounts of raw resources spent during production, the genuine worth of gold becomes more obvious. What’s more, that value is locked inside physical gold forever. So no matter what happens to gold prices as a result of the latest sways in the market, you can always rely on that everlasting value as a tool for storing and preserving your wealth.